Audits will where possible be carried out by local auditors from our offices in the UK, Asia, America or Denmark. 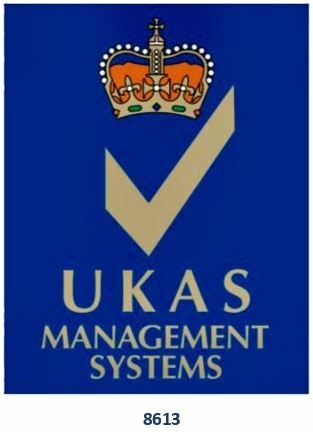 Fully accredited ISO9001 (UKAS) and IECEx can often be combined to save time and cost. ExVeritas audits are also excepted for INMETRO (Brazil) Certification. Let us add or take over your ISO9001:2015 Certification and you can have a single lower cost and highly efficient audit to deliver world-recognised UKAS ISO9001 Certification together with an ATEX QAN and IECEx QAR. We are also one of only a handful of companies in the world who can also deliver INMETRO QA from Brazil in this combined audit. Complete an on-line quote application form to get an ATEX, IECEx or combined audit with ISO9001 for Ex Equipment Manufacture. ExVeritas is one of only around a dozen companies in the world that can issue accredited ISO9001:2015, ATEX Notified Body QANs, IECEx QAR’s and INMETRO QA in a combined audit. The ATEX Quality Module and IECEx Quality Assurance Registration can be considered as an ‘Add on’ to a typical ISO 9001:2000 quality system. It requires ‘EX’ to be addressed or considered in each applicable clause of the Standard, If you do not have ISO 9001: 2000, a ‘Quality Plan’ can be used, but the audits are more frequent. EN ISO IEC 80079-34:2011 is the current Standard for ATEX (and IECEx) Quality Control and should be used to develop the necessary control. To get you started, here are a few of the more important aspects you will need to consider. How would you indicate and control an EX build from the design plan? The EX Quality Module should ensure all units are built to within the scope of the ‘schedule’ drawings (the drawings listed on the certificate). Ensure these drawings remain unchanged, if a change is required apply for a ‘variation’ through the issuing Notified Body as a new certificate will need to be issued with the new revision number. Record the fact that the build is covered by the schedule drawings. 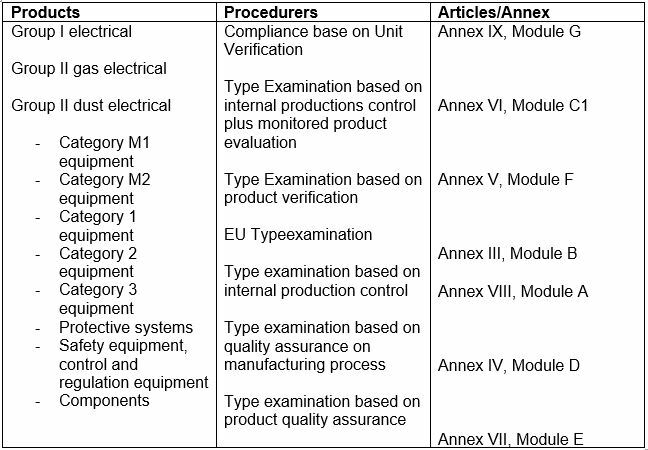 How would procurement be controlled to ensure suitably rated EX parts and/or materials are procured? Are EX parts inspected prior to installing them by someone with appropriate skills? How do you know what other special features are required for an EX build (i.e. two fans)? Does the final inspection and test plan cover the EX routine tests and requirements? Ensure that the certification label is not fitted until the final sign off has been achieved. Ensure you have a record of where each EX certified unit is delivered in case there needs to be a re-call. Cover EX on agendas for management meetings (to discuss related issues) and in your audit schedule. Have an ‘EX Responsible Person’ listed in your EX Quality Module , this person is normally technical and well trained in EX, it is the ‘go to’ person for interpreting the schedule drawings, working with the Notified Body and periodically reviewing the Standards.